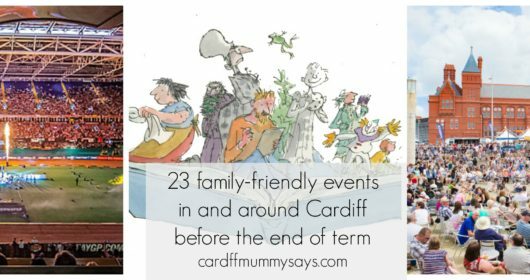 I’ve already published my bumper April events guide, with over 100 family-friendly events in South Wales this month. 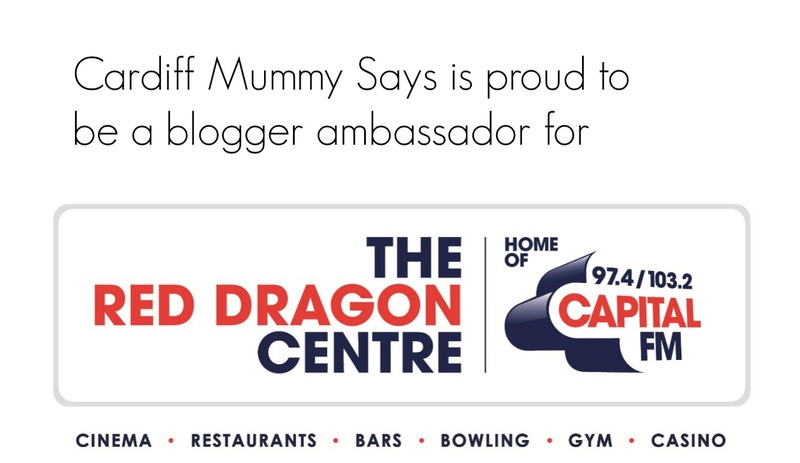 However, with the schools now off for the next two weeks, I’m working in association with St David’s shopping centre to bring you a round-up of activities in Cardiff centre to entertain the children over the holidays. 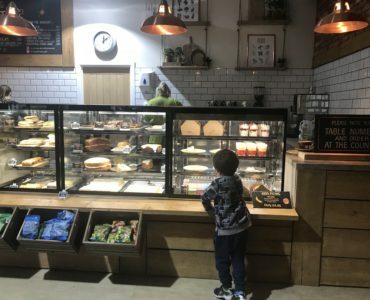 As well as being full of great shops and family-friendly restaurants and cafes, St David’s makes life easier for parents with family toilet cubicles, baby feeding rooms, and changing facilities on both levels, as well as on-site parking too. 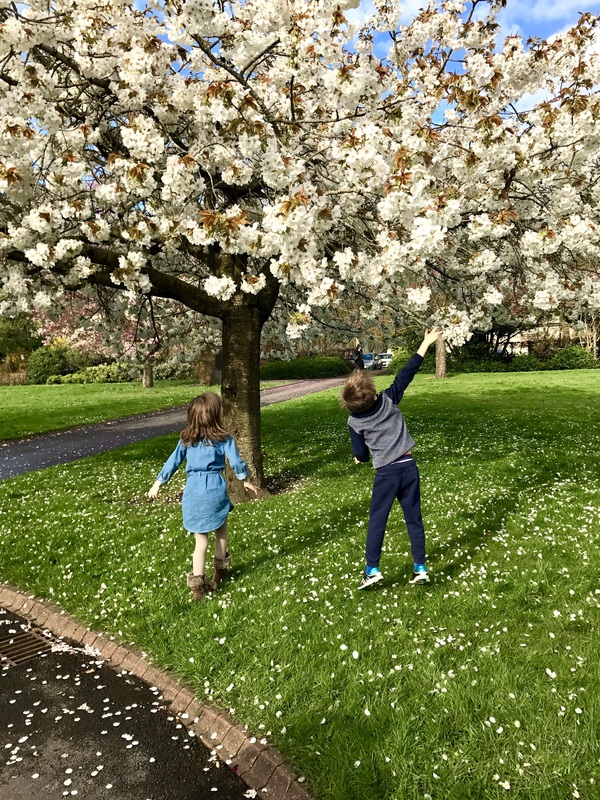 There’s plenty going on for families this Easter at St David’s, with activities at Hamleys, Treetop Adventure Golf, Build-a-Bear and more all detailed below. Please note St David’s is closed on Easter Sunday, and open from 9.30am-6pm on Good Friday and Easter Monday; and 9.30am-7pm Easter Saturday. Usual opening hours are Monday to Friday 9.30am-8pm, Saturday 9.30am-7pm and Sunday 11am-5pm. 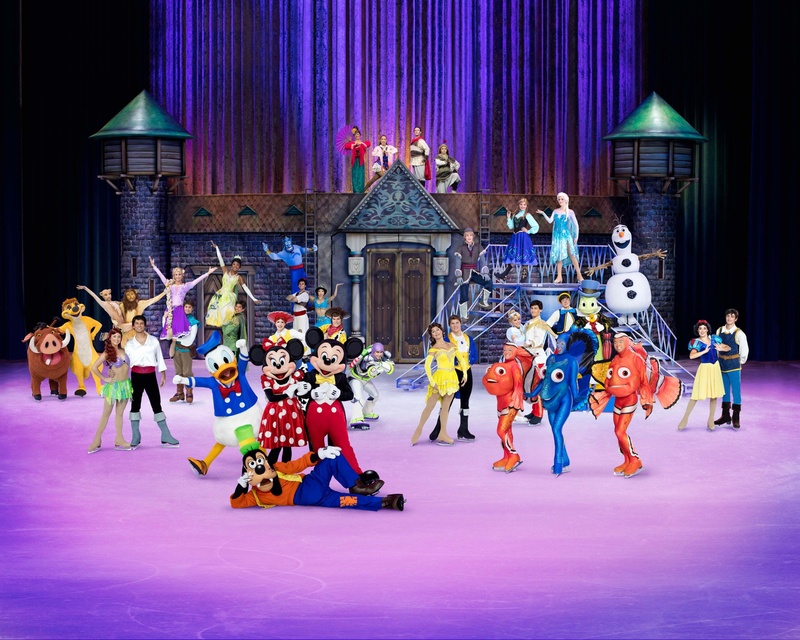 Mickey, Minnie, Donald, Goofy and a host of Disney princesses lead the celebrations as Disney On Ice celebrates 100 years of Disney magic. Sing along to more than 30 songs from classic Disney films such as The Lion King, Beauty and the Beast, Aladdin and Frozen, plus Disney/Pixar’s Toy Story and Finding Nemo. 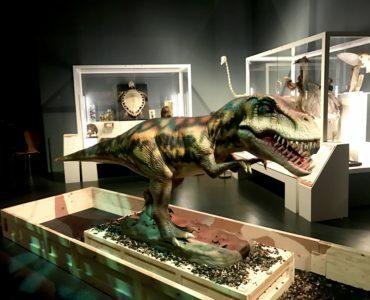 Read our review here and watch our video of some of the show’s highlights here. 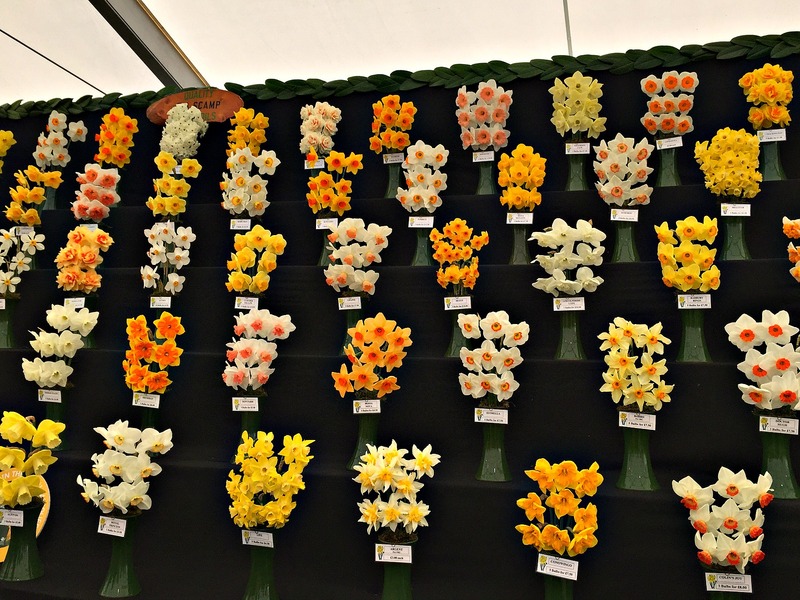 The annual floral spectacular, the RHS Flower Show Cardiff, embraces Wales’ Year of Legends with a host of themed-gardens and features to spark the imagination. There’s plenty on offer for little ones, with tree climbing, den building, the popular annual school’s wheelbarrow competition, a chance to get up close and personal with giant wicker bug sculptures, plus making and decorating wood cookie name tag necklaces to take home. 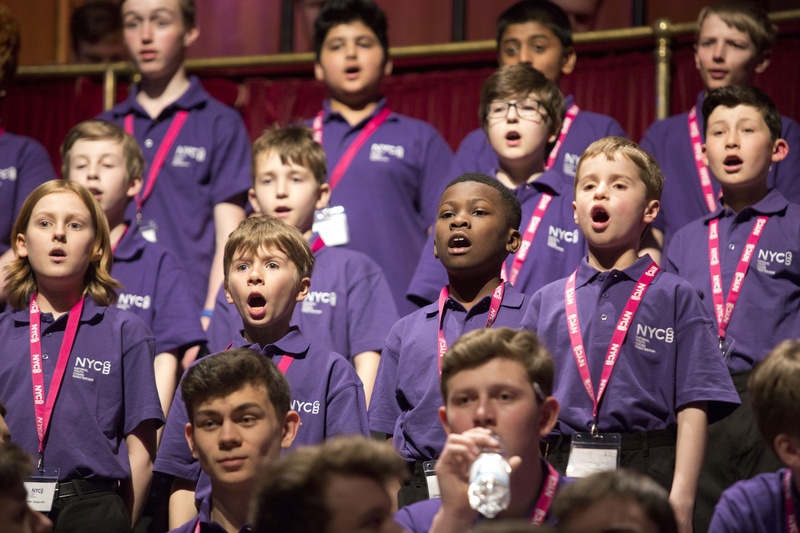 A spring showcase from the National Youth Boys Choir, featuring a range of music from many cultures and traditions. 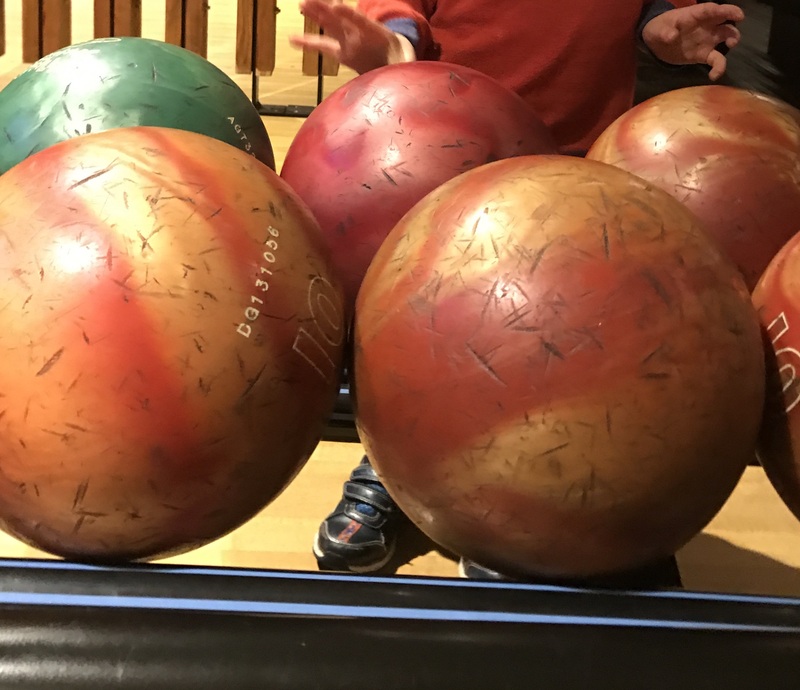 The boys, who are aged 9-15 and hail from around the UK, will perform on the back of a week’s rehearsals at Llandovery College in West Wales. 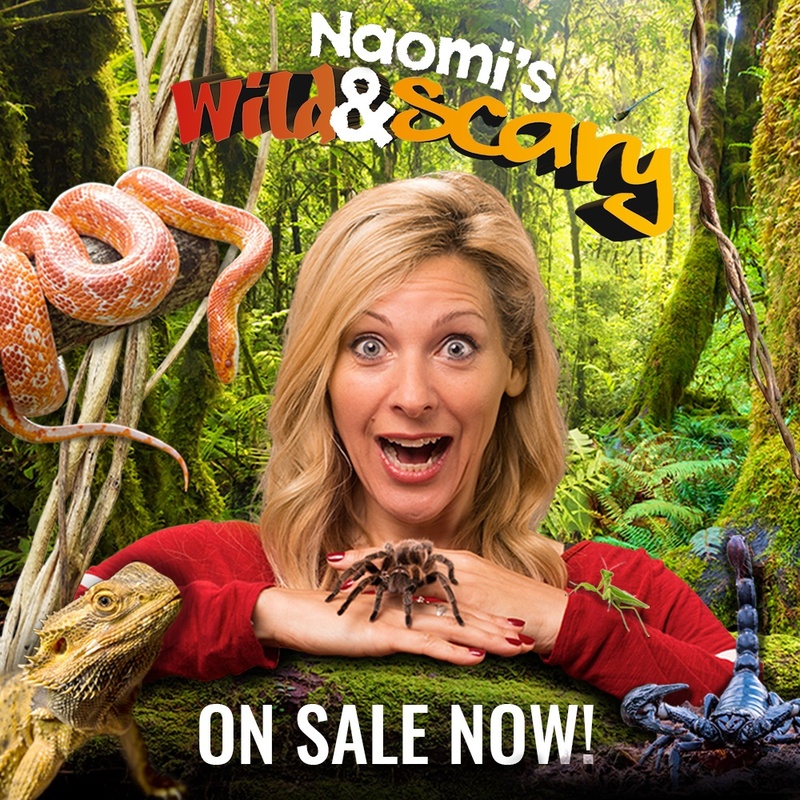 Children’s TV presenter Naomi Wilkinson presents a show packed full of fun and surprises as Naomi is joined on stage by ‘Animal Mark’, and some of his scariest creatures. Join Naomi as she recalls some of her most exciting wildlife experiences from the far flung corners of the world and even introduces the audience to some of the most fierce and frightening animals she met along the way. Age guidance: 5+. 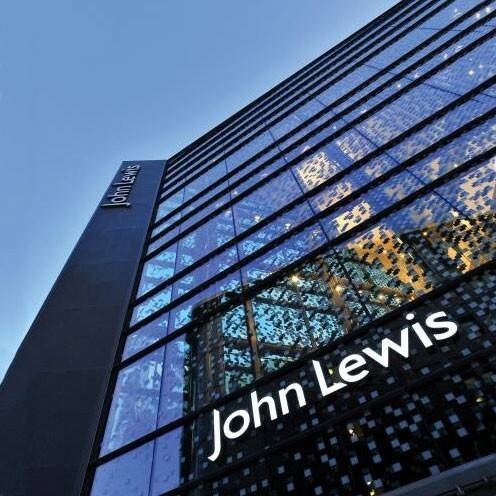 There’s loads going on in the department store, with Easter egg hunts, Easter crafting, Easter-themed colouring and Easter bunny-themed story telling. See in store for details. 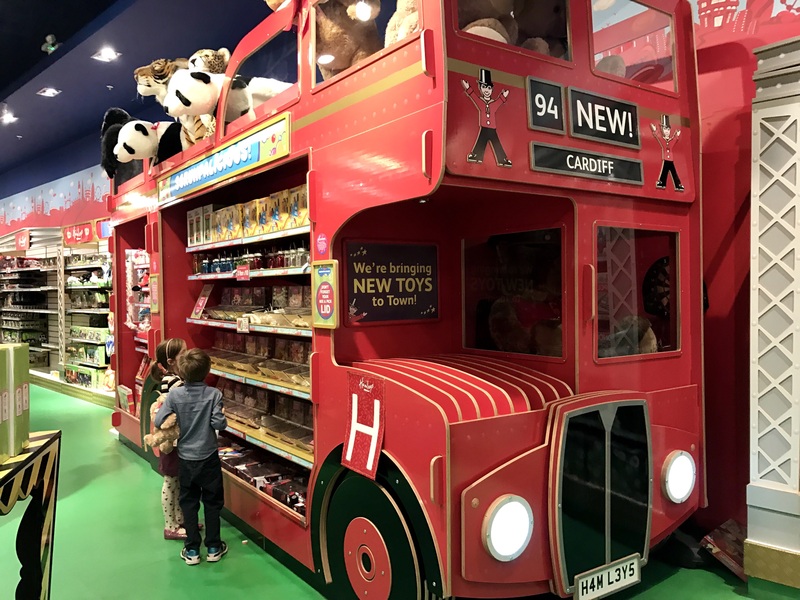 As well as all the toys, there’s plenty going for free ay Hamleys, including Easter parties (10th, 12th, 14th, 17th, 19th & 21st April, 1-1.45pm; limited spaces available); free arts and crafts workshops in store; chance to win £100 by having your photo taken with Bunny Bear in the Cheeky Chick photo frame. Plus meet Play-Doh! mascot Doh-Doh! 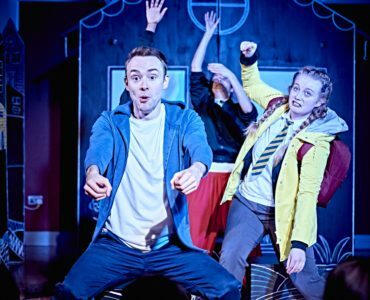 On Saturday 15th April and Bing and Flop on Saturday 22nd April, both 11am, 12pm, 1pm, 2pm. Make your own Easter companion. 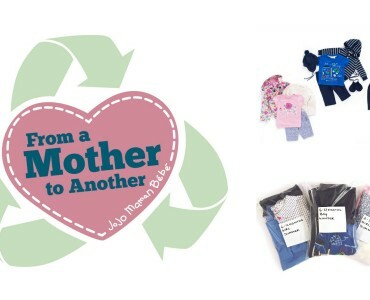 Choose a bunny, lamb or bear, help to stuff it, and choose something for him or her to wear. Prices from £8. 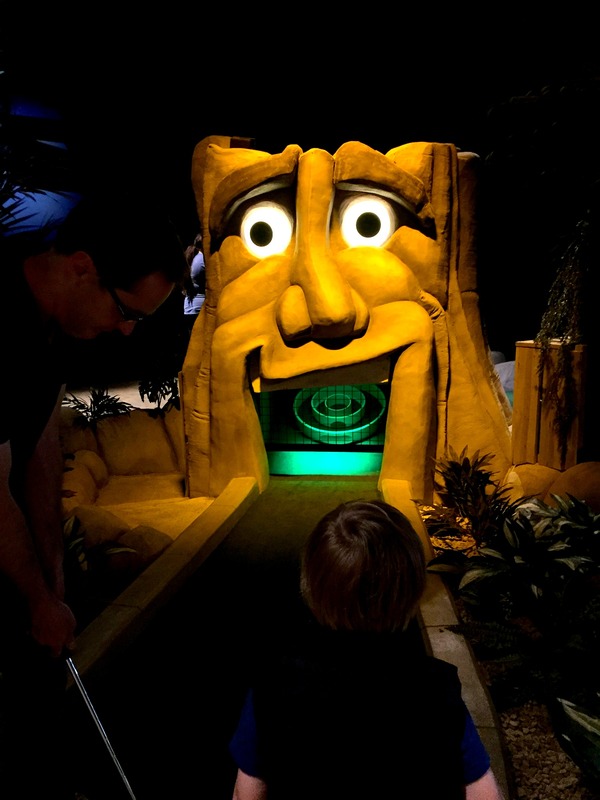 Rainforest-themed indoor adventure golf for all the family. 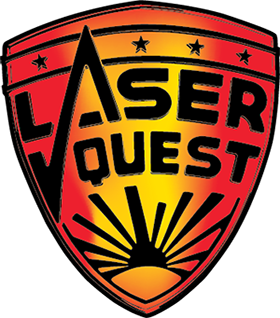 There are two fun 18-hole courses to choose from, Tropical Trail and Ancient Explorer, with interactive features including a 60-foot mystic river, singing frogs, vines, trees and plants, and drop holes where the ball will disappear from site, only to reappear elsewhere. No need to book, just turn up. 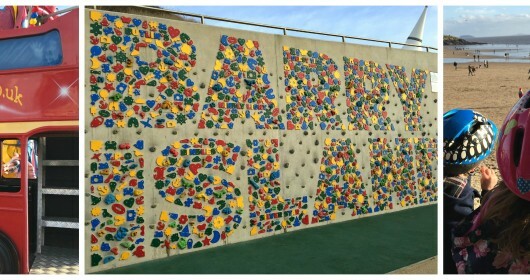 No minimum age although under-12s need to be accompanied by an adult. Plus everyone who plays has a chance to win a free round on the bonus 19th hole! Read our review here. A three-metre high, gravity-defying replica of Dominic Toretto’s iconic Dodge Ice Charger will be on display in the centre to mark the release of the latest instalment, Fast & Furious 8, which is in cinemas now. 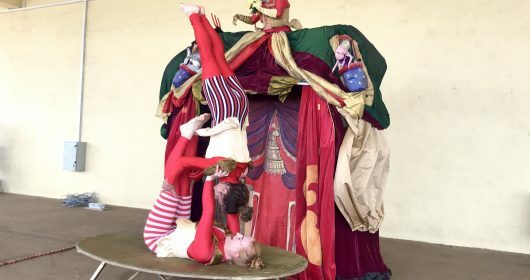 The incredible installation has been made by the internationally renowned Cardiff-based company, Wild Creations, the team behind ‘The Ball in the Wall’ and the dragon at Caerphilly Castle. The only centre in Wales to host the jaw dropping event by Universal, customers are invited to St David’s Cardiff throughout the weekend to join the world of Fast & Furious. A unique green screen experience, will put them in the driving seat to re-enact some of the most death-defying car stunts from the film which they can share online. 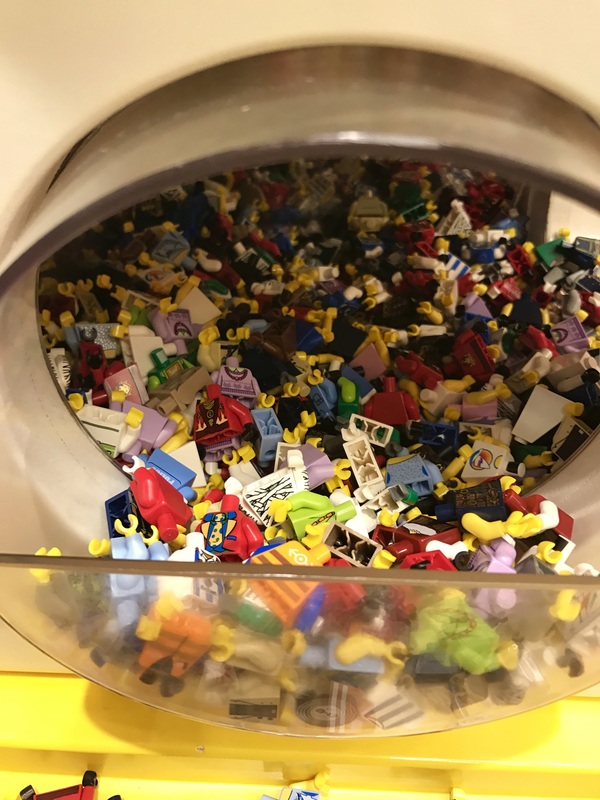 Choose from mix and match legs, bodies, heads, hats or hair, and an accessory and create your own Lego people. Until April 28th, you can also build your own style of Lego City Police car and chase the crooks and earn your Lego City Police Certificate and Badge. 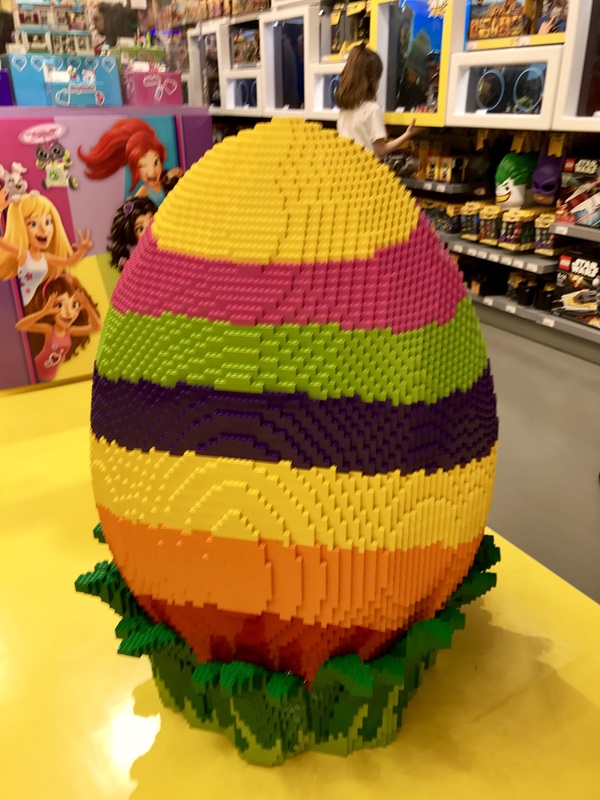 There’s also Lego and Duplo to play with, and an impressive giant Lego Easter egg in store. Adjoining St David’s is Queens Arcade. 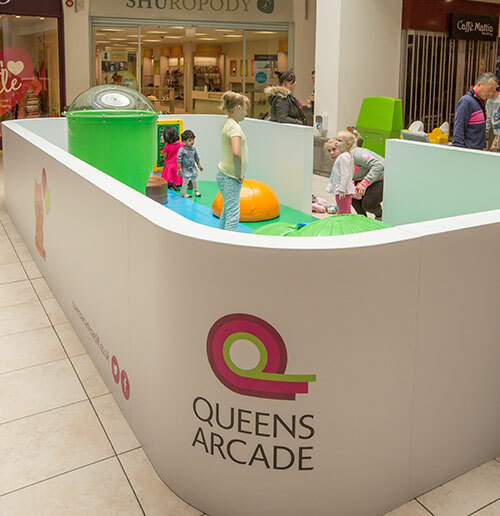 Ideal for the under 5s, this free-of-charge soft play area is a great place to stop by if little ones have had enough of all the shopping. 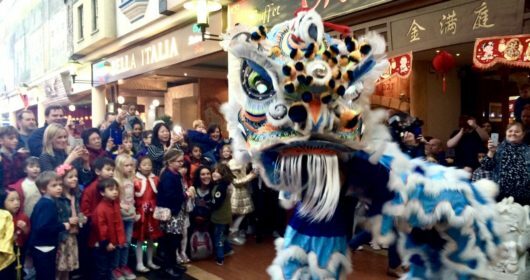 FREE Easterfest at Queens Arcade! 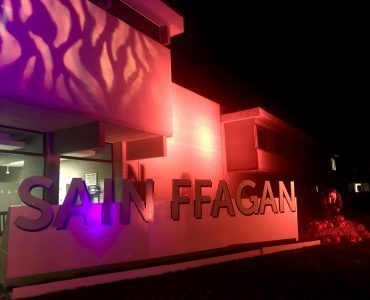 An Easter-themed mini festival for families. Be transformed into a bunny at the Easter Bunny transformation station, take part in an Easterfest interactive challenge, and go on an Easter egg hunt. 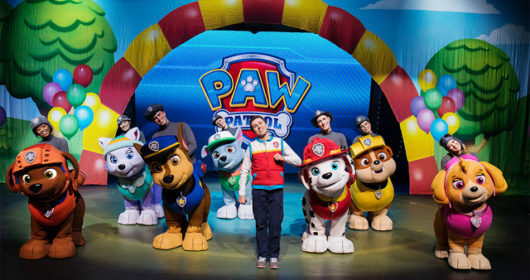 A visit from the popular character from the online playground for kids, where they can learn about the natural world. 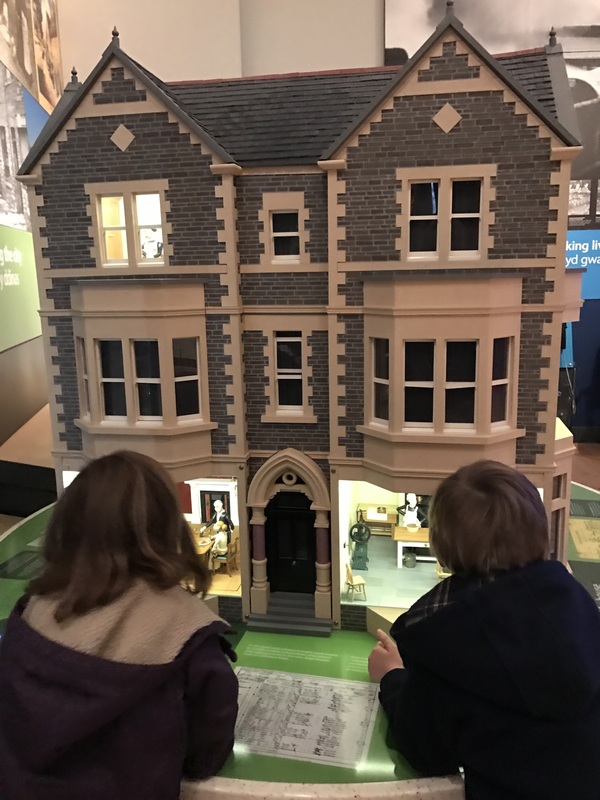 A fascinating exploration of the history of Cardiff, with two floors of interactive exhibitions and a children’s play and dressing up area. Read our review here. £1 per child; drop-in Easter arts and crafts. From Wembley to Wales: Celebrating Cardiff City’s 1927 FA Cup Victory, 4th March-4th September 2017. An exhibition celebrating 90 years of Cardiff’s famous football victory; discover more about the match, the players and the fans. Saturday 23rd April, 10am-3pm, £1 per child. 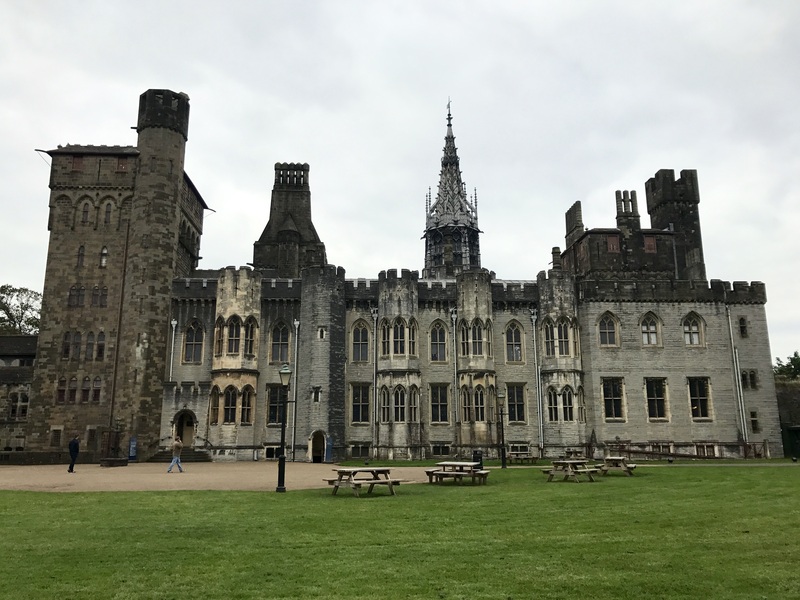 Explore the ornate castle apartments, the wartime shelters the Norman keep and an exhinition about the history of the Welsh soldier. 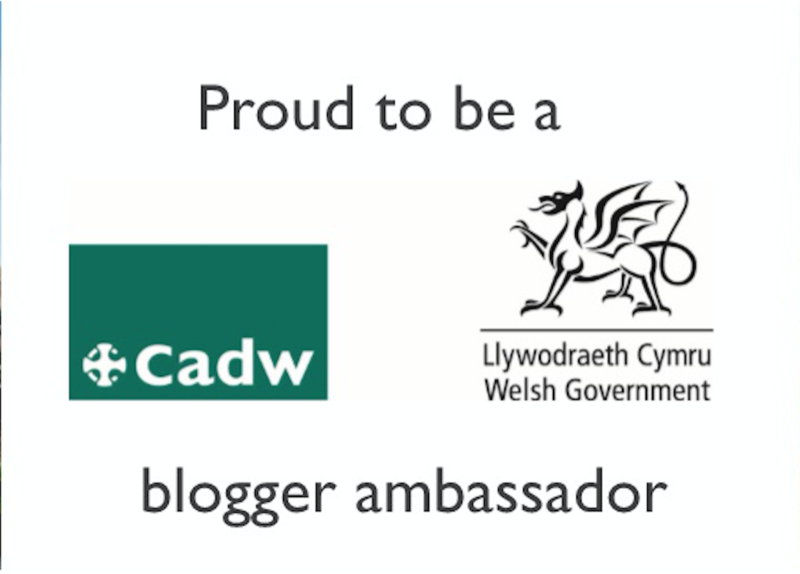 *Entry is free if you live or work in Cardiff, and buy a Castle Key for £5, which gives free entry for three years. No charge for Castle Keys for children. 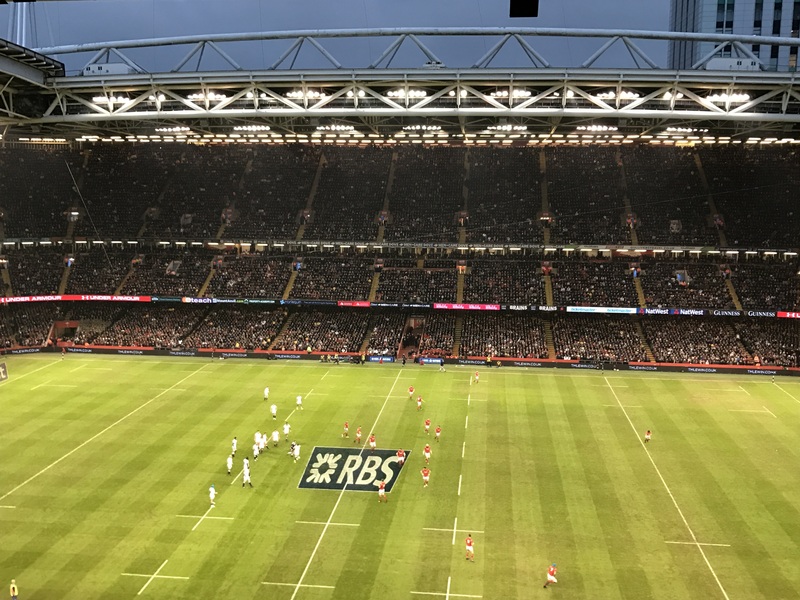 Read our review of Cardiff Castle here. 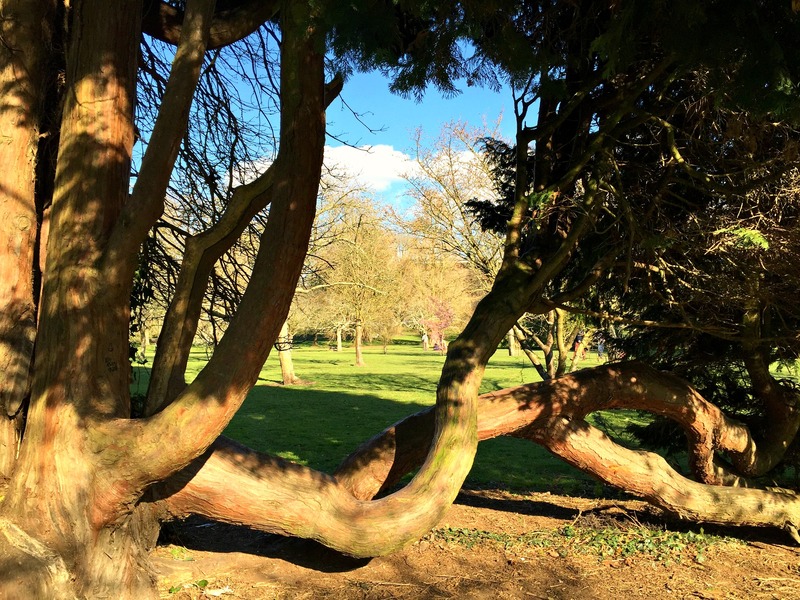 Find the answers to the puzzles in the house and the grounds and win an Easter prize. £1 per trail, as well as normal admission or valid Castle Key. 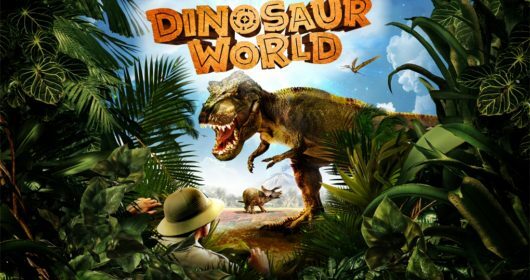 Plenty on offer for families, with exhibitions on the evolution of Wales including the famous dinosaurs, natural history, and art galleries. Entry is free but donations are welcome. The Museum is not open on Mondays. Read our review here. Messy art workshops inspired by abstract painter Gillian Ayres. 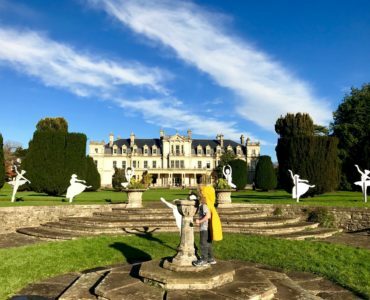 A free family Easter trail. A family workshop showing you how to paint in the style of a botanical illustrator and find out more about the important plant life on the museum’s urban meadow. 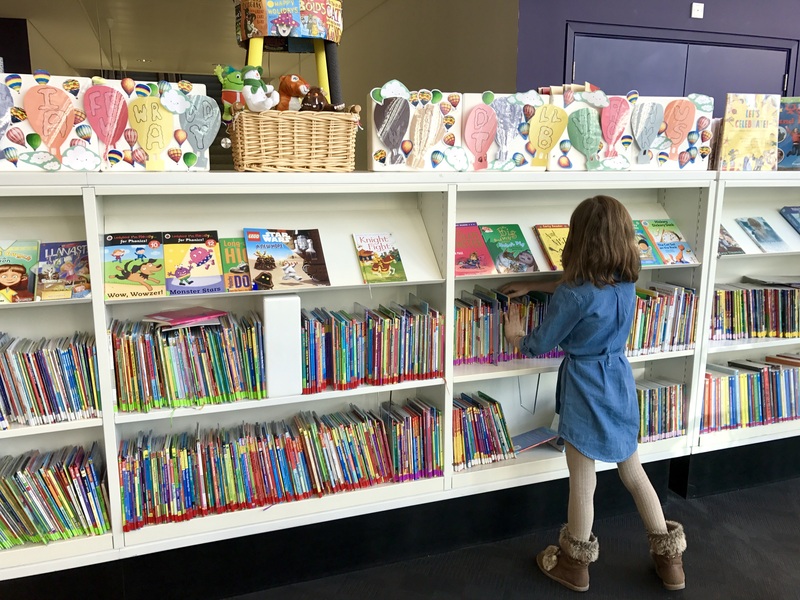 Cardiff’s biggest library has a whole floor for children’s literature and a huge selection of both fiction and factual books for all ages. There’s plenty of space for children to sit and read, including some fun and unusual cubby holes. The library is closed on Sundays. Free talks, demonstrations and giveaways on all things gardening-related. A chance to make a Lego creation. (Lego cannot be taken home). As well as all the new showings, the 10am weekend and school holiday Movies for Juniors showings are just £1.75 per person. Check online for schedule; films are usually a few months old rather than new releases. As well as all the new showings, the 10am weekend and school holiday Movies for Juniors showings are just £1.99 per person. Check online for schedule; films are usually a few months old rather than new releases. 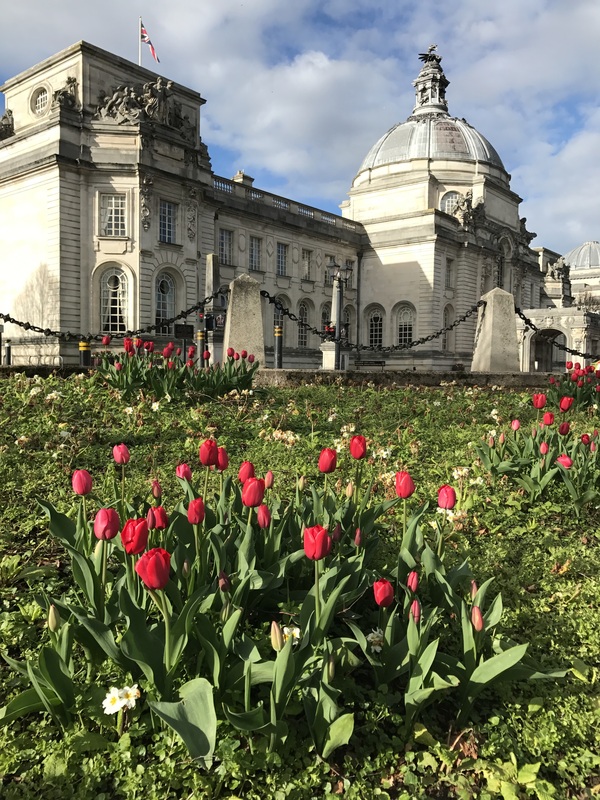 Amid the grand buildings of Cardiff’s civic centre, including the National Museum, City Hall, Cardiff Crown Court etc, are beautifully maintained gardens. Alexandra Gardens contains the Welsh National War Memorial (and the blossom is looking particularly beautiful at the moment); the Gorsedd Gardens in front of the museum is home to the stone circle marking the 1899 National Eisteddfod of Wales; while the lawns outside City Hall are a good place to stop for some calm amid the chaos of the city. 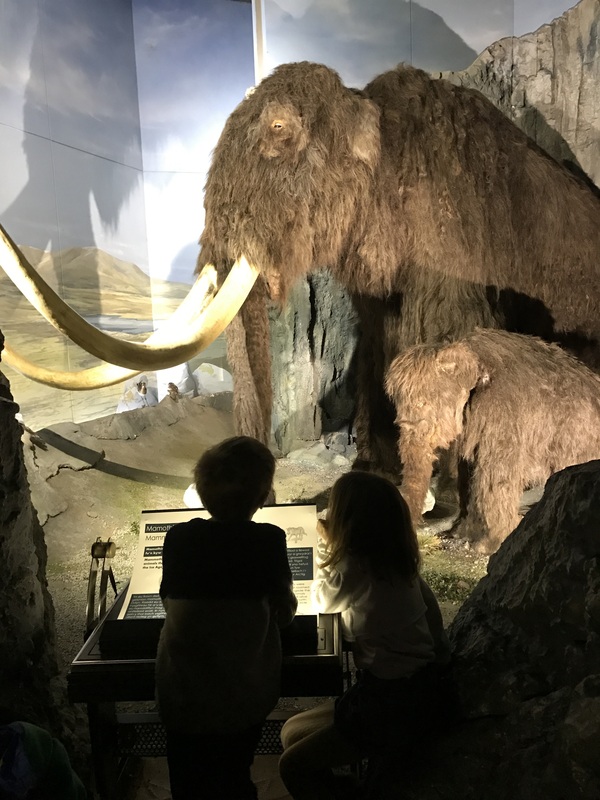 For more ideas on local family-friendly days out, see the Cardiff section of Cardiff Mummy Says or follow Cardiff Mummy Says on Instagram or @cardiffmummy on Twitter.